Quality Legal Services at a Reasonable Cost. Paragon Law Firm is a full-service law firm specializing in U.S. Immigration and Nationality Law. We represent clients located anywhere in the United States, India and around the world. Whether you are an alien seeking to legalize your status in the U.S., or you are a U.S. employer planning to hire foreign employees, or you are a citizen trying to bring your loved ones from overseas, or you are an investor exploring to invest in the U.S., or you are an individual or a company seeking to visit, work or invest in India, we are the law firm you can rely on. We have extensive experience and proven records in handling all immigration related matters including but not limited to citizenship and naturalization, employment-based, family-based and DV lottery-based green cards, asylum, deportation/removal proceedings, release from detention on bond or parole, VAWA petition, U Visa, , inadmissibility waivers, work visas for skilled professionals, visa and green card petitions for investors and their families, fiancé visas, DACA work permits, student visas, parole in place for immediate family of military and tourist visas. Understanding the importance and complexity of the law, we offer pro-bono and low cost legal services to the eligible indigent clients. Our experience working with variety of clients on regular basis keeps us updated with most current changes in immigration rules, regulations and internal policies. We offer limited legal services to the immigration attorneys in attending asylum interviews, adjustment and I130 interviews, master hearings, bond hearings, detention center visits, info-pass inquiries, legal research and writing briefs, motions and affidavits. Onsite staff available for certified translation of foreign documents, notary services and interpretation services at USCIS interviews or detention visits. I hired her for my brother's immigration case. She was very helpful throughout the case and she worked at a really fast pace. I'm really impressed by the way she handled the case and she is still my attorney for the rest of the case proceedings. 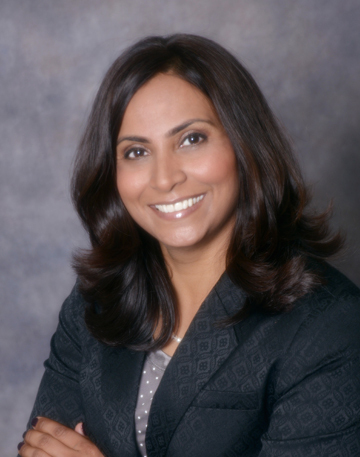 Nilima Shah was our lawyer , who represented our immigration case for green card and subsequently for our citzenship . my husband and I have nothing but great admiration for her the way she diligently and conscientiously prepared our case. her paper work and preparation of our individual files was flawless and she gave all the time in the world to answer any questions we had and for this i admire her patience . besides she is extremely considerate and always accommodative , hence our green card case was approved without any hitch or delay and we were so well satisfied by her performance that we went back to her to apply for our citizenship. we can say without a doubt that if you need a competent, hard working lawyer with integrity and decency then undoubtedly it is nilima shah. I was in detention and hired NILIMA Shah. She travelled from CA to AZ and met me in person within 3 days. She filed my papers and called my family every step of the process and appeared in person for my hearing when she could do so by phone. She got me the lowest bond possible and right after hearing, she immediately called my family, gave them all instructions, address and info. about how to and where to post a bond. I would have been stuck in detention for weekend if she didn't help my family with all the info. she gave on how to post it and where. After I was out, she answered every call and helped me with all the questions even though I am not her client anymore. She really cares about her clients. I recommend everybody to go to her.